What Does Code P0065 Mean? Fuel atomization is critical to the performance and efficiency of the internal combustion engine. 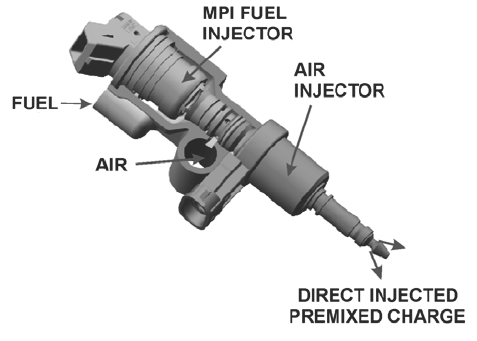 In combination with the heat of the engine and cylinder compression, as well as the swirl effect of the intake air, the modern fuel injector does a pretty good job atomizing and vaporizing fuel for combustion. When the engine is cold, however, fuel tends to remain in its liquid form, which does not burn. More fuel needs to be injected to compensate for lower vaporization, resulting in less efficient cold engine operation and increased emissions. To improve fuel vaporization, particularly with a cold engine, some automakers have adopted the air-assisted fuel injection system. The system pulls air from the intake, before the throttle plate, and routes it to the fuel injectors via hoses, tubes, or intake manifold channels. 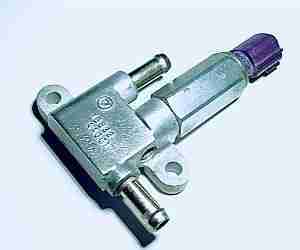 Fuel is injected in the normal manner, using electrical pulses from the ECM (engine control module), into a small chamber. There, vacuum from the intake manifold pulls air into the chamber, swirling with the fuel, leading to better atomization. 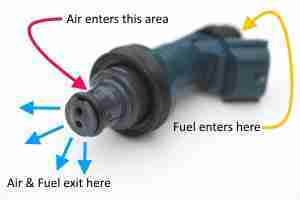 Then, the air-fuel mixture enters the cylinder, where it is fully vaporized for combustion. Depending on system design, air-assist may be controlled by a dedicated solenoid valve or by the idle speed control valve. Generally-speaking, the ECM increases air-assist when the engine is cold and is running at idle or part-throttle (low-speed low-load), to maximize the effect of engine vacuum on the system. At higher temperatures and throttle openings, the air-assist system is not active. The ECM (engine control module) uses feedback from the air-fuel ratio (AFR) sensor to monitor the air-assist system. If the ECM detects that the air-assisted fuel injector system is malfunctioning, either letting too much air into the system or not enough, it sets a DTC (diagnostic trouble code) in system memory, P0065 – Air Assisted Injector Control Range/Performance, and illuminates the malfunction indicator lamp (MIL). Note: A Range/Performance related code will be set when either a sensor or other component does not perform within the range the PCM (Powertrain Control Module) expects to see, given the current engine load/speed, and information gathered from other sensors. The possible causes of Range/Performance codes are likely to be defective sensors as easily as they are likely to be the result of wiring issues that affect the operation of the affected sensor or component, which means that with these codes, it is important to regard all sensors and components as part of the control circuit the code refers to. What are the common causes of code P0065 ? Depending on year, make, and model, DTC P0065 may have number of causes. Here are some of the most common. Faulty Valve – Air-assist problems are usually caused by mechanical valve faults. There are separate DTCs for open- and short-circuits, so diagnose these first, if present. If not present, suspect the valve sticking open or closed. 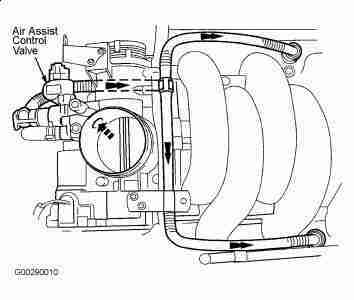 Vacuum Leaks – The air-assist fuel injection system is constantly under engine vacuum, just like the intake manifold. Disconnected or cracked vacuum lines or an intake gasket leak could cause problems with the air-assist system. What are the symptoms of code P0065 ? Aside from the MIL, you may or may not notice any drivability problems related to a failure in the air-assisted fuel injection system. Depending on the nature of the failure, rough idle or stalling may occur. You may also note concurrent fuel trim or idle speed control DTCs. How do you troubleshoot code P0065 ? Before troubleshooting, check with your dealership service center for TSBs (technical service bulletins) or recalls, as there may be an updated part or ECM reflash available to resolve the problem. It also does good for one to note that, if the control valve has been replaced, there may be an ECM relearning procedure for the new valve. Check that the control valve is properly connected. Check the connector for corrosion or water intrusion. Repair as necessary. Disconnect the air hoses from the control valve and energize the valve, either using a scan tool active test or by applying battery voltage, and see that air passes when the valve is activated. See that air does not pass when the valve is deactivated. Clean or replace as necessary. Check that rubber hoses and tubes are in good shape, with no cracks or kinks. Check that metal tubes are not kinked. Repair as necessary. Blow air into the system, at low pressure, and check for air escaping from the intake or exhaust. If air is escaping from anywhere else, suspect a faulty seal or tube. Repair as necessary. Some air may escape from around the fuel injectors, but this is not common. Because the ECM monitors air-assist using the AFR sensors, if you have a sensor problem, it could set off an erroneous air-assist DTC. If you can perform a fuel trim active test, you can confirm how fast the AFR sensor reacts. None found. Ask a question about P0065.